I haven’t shampooed my hair in six months. Earlier in this experiment, a friend was running her fingers through my hair and commenting over and over about how shiny and pretty it looked and how soft it felt. I just couldn’t resist responding with “Oh really? That must be because I haven’t shampooed it in a couple of months.” She snapped her hand away from my head with a brief flash of horror on her face. I rolled with laughter! As I’m sure you can understand, I haven’t told many people before now. It’s not that I haven’t been cleaning my hair at all; it’s just that my ever-present fragrance allergies have spurred me to try simpler methods of home and body care. The keys I’ve discovered to chemical-free clean hair are baking soda and vinegar. My daughter has had great success with this method, as well, for about five months now. Her hair is a completely different color, texture, and thickness than mine, so we have both tailored our routines to work best for each of us. I think with a little time anyone could successfully use these two ingredients to keep their hair shiny and healthy, without ever touching a bottle of shampoo again! There are many places on the internet to learn about cleaning your hair this way, some of which seem unnecessarily complicated to me. I’ll explain the simple method we use to clean our hair and how you can tailor it to work for your hair as well. STEP 1: I keep a container of baking soda handy in the bathroom, and I keep a container of distilled white vinegar and a disposable plastic three-ounce cup in the shower. STEP 2: Before showering, I measure my individual portion of baking soda into the cup and set it back into the shower. I just eyeball the amount in the cup. For the sake of this post, I measured the amount — about 1 1/2 teaspoons. STEP 3: After wetting my hair during the shower, I fill the cup with water. Using my finger, I stir the baking soda and water mixture before pouring a little on my hair. The baking soda settles to the bottom very quickly, so I repeatedly stir and apply, stir and apply. The key is to focus on the scalp. (If your hair is long, the liquid that runs down will likely be enough to take care of the rest of your hair.) Then, I gently scrub the baking soda around on my scalp for about a minute. STEP 4: I turn the shower head onto the power massage spray to do a thorough rinse of my hair, starting at the scalp and working my way down. Once I think it is rinsed well, I rinse some more! Unless your hair tends to be extremely greasy, it’s best to rinse out the baking soda as well as you can. I repeat steps 3-4 using the vinegar, with minor adjustments. STEP 5: For my hair, I use about the same amount of vinegar — it measured 1 1/4 teaspoons. After filling the cup with water and stirring once, I apply the vinegar quickly to my scalp, give it a fast scrub with my fingers, and immediately rinse it out. STEP 6: I turn the massager shower blast on again and rinse very thoroughly. STEP 7: After the shower, I give my hair a gentle pat dry with the towel (or wrap it in the towel for a few minutes) and then brush it out two or three times while it’s drying. For those who imagine a greasy mop limply hanging from my head, I took some photos. The first one (dark blue shirt) is my hair on a typical day. I had washed it the day before. The second one (light blue shirt) is my hair when it was almost dry after being washed. The only thing I did was brush it out before taking each photo. It’s a streaky, strange color because I began developing premature gray when just a junior high student, and it has been rapidly taking over the last few years. 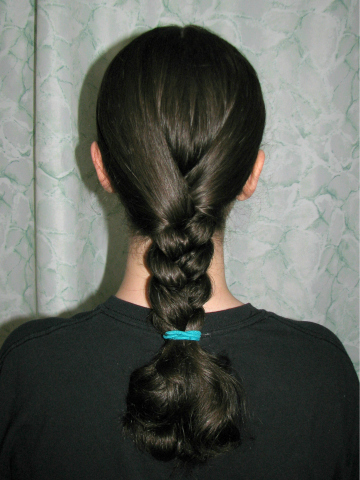 Using only the baking soda and vinegar, my fine hair is softer and has more body. I see about half as much hair gathering around the drain guard in the shower, and no one has to pick dozens of loose hairs off the back of my shirt anymore. My hair also feels slightly thicker when I wring it out after a shower or put it up in a pony tail. My daughter’s hair is much less greasy with a lot less of those fuzzy fly-away baby hairs that used to stick up on the top of her head. I also rarely ever see a dandruff flake on her hair these days. So why does this method work? The theory is that shampoo strips so much oil off your scalp and hair that your scalp overproduces in an attempt to replace the protective coating on your hair. The more you shampoo, the more your scalp produces oil. I would imagine that conditioner helps to combat this cycle to a degree, but both shampoo and conditioner tend to leave their own undesirable buildup on your hair. When you ditch the store bought bottles and try this method, there can be a three- or four-week transition period (I’ve read possibly up to six weeks) of extra greasiness as you break the cycle of oil removal and overproduction. Personally, I didn’t notice much of a transition. That’s probably because I was already using (expensive) “natural” shampoos and conditioners and was only washing my hair every other day. My daughter did have greasier hair for about a month until she broke the cycle and found the techniques that worked best for her. If you experience a bad transition, hang in there! You only have to go through it once, and it’s worth it! 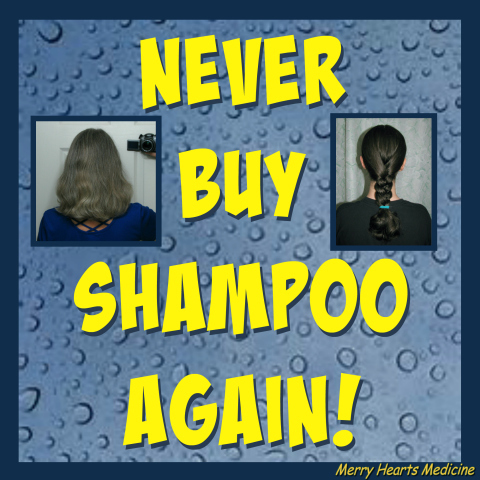 If you give in and try to occasionally use regular shampoo, it will probably restart the old strip-and-oil cycle. It isn’t necessary to clean your hair every day. I usually only wash mine twice per week now. I’ve read that some people wash once every week or two, and in between washings they just rinse carefully with warm water when they shower. When I scrub the baking soda onto my scalp, my hair feels really strange. It feels almost sticky and grainy, and I can’t really run my fingers through it. After the vinegar rinse, it feels almost like I’ve put on conditioner, and I can easily run my fingers through the soft hair again. You can tweak the amounts of baking soda and vinegar and/or the duration of application depending upon how oily your hair feels on that day. Diet, sweat, wind, hormones, how much you’ve touched your hair, and many other factors can affect how oily your hair becomes. More baking soda will absorb oil better, but you must balance it with a vinegar rinse or you will get a build-up on your hair from the baking soda. Don’t worry that you will walk around smelling like sour pickles. In our experience, our hair has pretty much no smell at all now. My daughter’s hair is very thick and heavy compared to mine (or to most people, actually), plus she has those raging teen hormones flowing through her veins, so she uses a lot more baking soda than I do. She brought me her normal amount, and it was about 7-8 teaspoons! Her cup was filled between a third- and half-full, while my 1 1/2 teaspoons was only a thin layer in the bottom of my cup. Now I understand why she has trouble rinsing it all out! When my daughter’s hair seems determined to be extra oily, she dusts a little baking soda onto her part and combs it in (which helps to absorb the oil, similar to how a dry shampoo works). Greasy hair was a problem for me, too, at her age. My hair is becoming more dry and wiry as the gray multiplies, so a small amount of baking soda and very quick vinegar rinse works well for me at this point in my life. 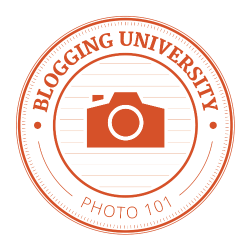 There’s an important thing I forgot to mention when I wrote this post. I was reminded of it while on vacation this week. When my daughter and I washed our hair at a friend’s house, it did not turn out as well. Both of us noticed our hair came out rather dry, and my daughter had lots of fly-away fuzzies on top of her head again. I realized it was because of the chlorine in their water. At home, we have filters on our showers that screw on between the pipe and the shower head. They are super simple to install. All we have to do is twist it open, clean the two rubber “O-rings,” and put a new filter inside every six months. Whether or not you try the no-shampoo-method, one of the simplest things you can do for softer hair and skin is to shower in chlorine-free water. It might even help your “allergies.” A friend of mine was having problems with aggravating itching on his scalp and body. He tried changing his diet, his laundry detergent, and several other things. When he took a shower after putting a fresh chlorine filter in place, the itching stopped immediately and completely. For those who are curious about the long-term results of the baking soda and vinegar hair-washing method, I thought you’d appreciate an update. It’s been approximately a year since shampoo or conditioner has touched my hair, and so far I’m still loving it. In fact, it’s been getting better over time. I mentioned in the “Tips” above that my hair felt a little sticky and strange while scrubbing in the baking soda. That doesn’t really happen anymore, so I’m assuming that may have been something to do with removing the product buildup on my hair. Several people have told me they think my hair looks darker than it used to. I seriously doubt my gray hairs are turning back to brown, so maybe that also has something to do with removing product buildup. Whatever the reason, I’m fine with it! 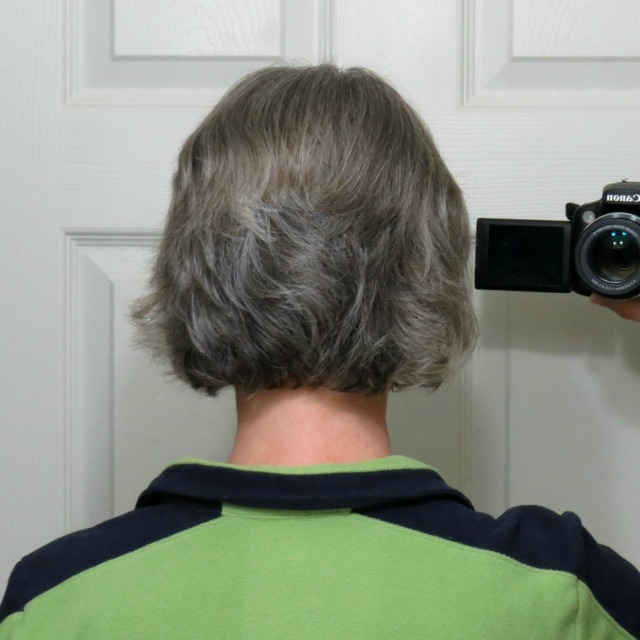 As you can see from the following update photo, I recently cut my hair into a sort of wedge haircut that’s shorter in the back and longer on the sides. The old haircut was getting on my nerves. I’m sure some of you guys/girls are familiar with these annoyances: the wind blows, and you have hair stuck in the chapstick on your lips; you bend over to pick up something on the floor, and all you can see is a blur of hair; and one of the most gross ones — you sniff and hair goes in your nose! Ugh! After a year of no shampoo, I’m still loving the results! If you try this method for cleaning your hair, please comment below on how it works for you! Thanks for reading! Your hair looks very clean and healthy. I think I will try the baking soda and vinegar. Perhaps it will bring the color back to your hair, one never knows. Some of my family members have commented lately that my hair looks darker. I had thought so, too, but thought “Nah, must be my imagination.” I hope it does! Normally I look at these natural remedies and don’t even want to try them. This time I do. Thanks! This will be the first homemade anything I have tried. I also put this on fb. Thanks!